The Young Entrepreneurs Academy — better known as YEA! — offers groundbreaking classes that teach middle and high school students how to start and run their own businesses. Applications are now being accepted for the year-long 2017-18 YEA! 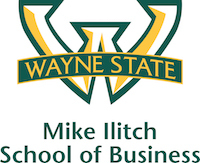 Program, which is hosted by the Mike Ilitch School of Business. The WSU/Detroit program is unique to YEA! programs across the country in that it focuses exclusively on preparing young female entrepreneurs. The driving force in establishing this site was the foundation of the National Association of Women Business Owners, Greater Detroit Chapter (NAWBO/EXCEL). Other local YEA! programs are open to both male and female students. Applications are being accepted through Sept. 15 for the 2017-18 YEA! program. Apply online or download, print, and mail in an application. If you know a driven and enthusiastic young woman who would be a great fit for YEA! you can nominate them for the program. Nominations allow outstanding students to bypass the letter of recommendation part of the application process. The Young Entrepreneurs Academy is for students in grades 6-12 who have demonstrated creativity, innovative ideas, academic effort, determination, enthusiasm, the ability to communicate, and a commitment to their communities and families. Students who apply to YEA! should be responsible individuals who pursue goals with tenacity. Prior experience in business is not required. The YEA! program begins in October and ends in May. Classes are held on Wayne State's campus and are scheduled for Thursdays from 5 to 8 p.m., with the exception of school breaks and holiday recess. Tuition is $395 and includes access to a network of local leaders and business professionals, built-in investment opportunities, field trips, events, books and supplies, and the chance to compete for college funding. YEA! scholarships are available and will be awarded on the basis of need and merit. A $50 discount is available to children of Wayne State University personnel. For more information on the YEA! program, please contact Carol Kirkland at 248-640-1343 or YEANAWBODetroit@yahoo.com.